Your living room is the heart of your home (with perhaps some competition from the kitchen), and the space acts as a spot to gather, unwind, and spend quality time with friends and family. It’s important for your living room lighting to reflect your personal tastes and decor, as well as provide a functional space where you can read, play games, watch TV, and more. At Hacienda Lighting in Scottsdale, we have the perfect options for your new living room lights. If your living room has a multiple areas, such as a place to play games or a reading nook where you can curl up with your favorite book, it’s important to define each area with the appropriate lighting. Wall sconces on dimmer switches are great for your home theater area, since you can raise and lower the lights depending on the time of day and type of show or movie you’re watching. Floor and table lamps are great for reading areas, and pendant lights can improve the area where you gather to play games or meet as a family. Track lighting is perfect for any artwork or decor you have displayed on the wall. 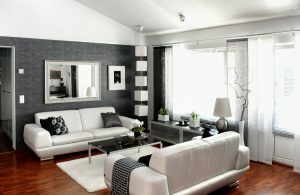 It can be beneficial to update your living room lighting for both style and efficiency. If your current lights are outdated, or you’ve recently purchased your home and the previous owners had different tastes, adding new fixtures can make it feel more like home. For efficiency, outdated fixtures with outdated bulbs can quickly drive up your monthly energy bill. Hacienda has LED fixtures and other energy-efficient options for your home. When you’re shopping for new living room lights, shop online or stop by our Scottsdale showroom today!